Ever since reading this cookbook, our family has worked hard to eat whole foods as often as possible. We’ve also given up weeknight desserts, and sip homemade smoothies or enjoy big bowls of fruit with fresh cream instead. Our new favorite treat is this easy frozen yogurt that you can make in a food processor. 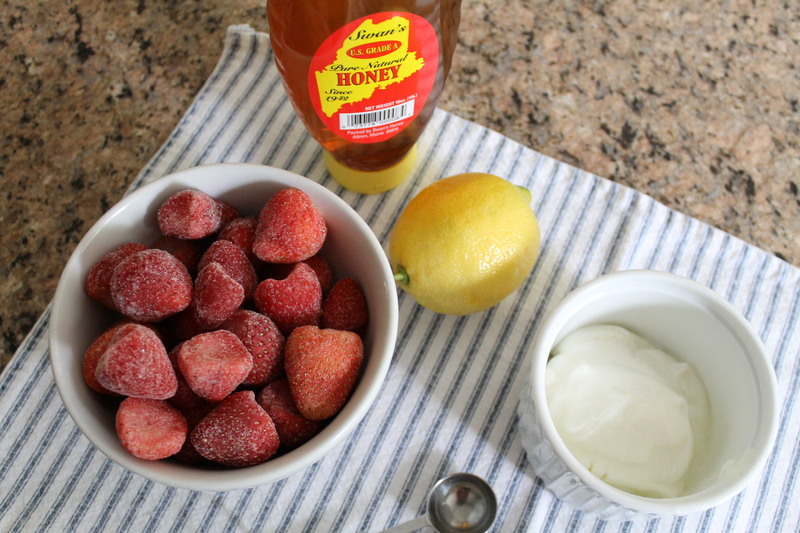 And all you need is four simple ingredients: the frozen fruit of your choice, whole milk yogurt, honey and lemon juice. That’s it! In January, MP was browsing the new books at our library and came across a cookbook called 100 Days of Real Food by Lisa Leake. The book caught MP’s interest for a few reasons. Like MP, Lisa is a blogger and mother of two, who enjoys cooking and baking. Lisa began her blog after watching a television interview with In Defense of Food author Michael Pollan. Pollan’s common sense thoughts on highly processed foods inspired Lisa to change her family’s eating habits for the better. Lisa Leake and her family. Photo courtesy of http://www.jsonline.com. MP’s friend from book group always makes the most delicious, buttery desserts. Her sugar cookie recipe really is the best. It’s our go-to, traditional holiday cookie. The dough is so easy to work with and the cookie itself is perfect with a drizzle of semi-sweet chocolate, decorated with Royal icing or topped with colorful sugar sprinkles. We’re preparing to host our first Thanksgiving, and MP has been busy baking anything she can freeze ahead, mainly pies, cranberry sauce, and biscuits. And while stuffing can’t be prepared ahead of schedule, MP figured cornbread would freeze well. 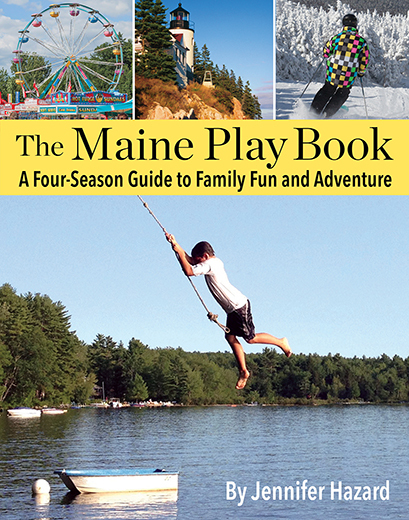 She turned to a new cookbook in our house, “Eating in Maine,” by Rockland food bloggers, Jillian and Malcolm Bedell. Here’s a sampling of what CP#1 has requested for her lunch: goat cheese wrapped in salami; mozzarella, tomato and basil on skewers; and rice and beans with lime. MP is all for healthy, creative lunches, but when CP#1 asked for fresh spring rolls, she wondered, how will I pull this off? If there is one dessert that MP can’t pass up, it’s cookies. Decadent chocolate chip cookies are her weakness, followed by crisp butter cookies and just about anything made with dark chocolate. 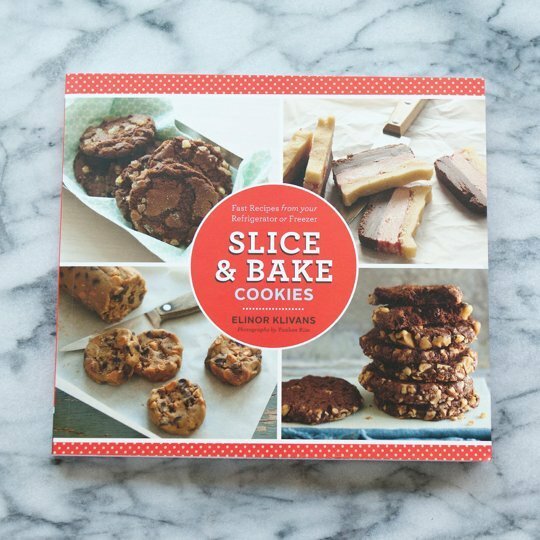 So you can imagine her delight when she discovered Slice & Bake Cookies by Camden-based cookbook author Elinor Klivans. The cookbook features make-ahead cookie dough you can refrigerate or freeze for later use.